The cover says: “a complete guide for green belts, black belts and managers at all levels”. 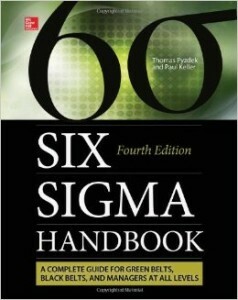 I agree, it’s a complete guide for the main aspects of Six Sigma. 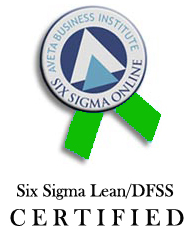 I have done internal training courses in my company related to Six Sigma: focused on DMAIC, DMADV, DFSS, and other tools. This book goes in deep in the analysis and the statistical techniques, the courses I did goes more in the direction of understanding the processes and how to apply it. Both learning initiatives have been complementary.